Then it hit me. I had no idea what to do with the stuff. After a disastrous attempt at a sweet potato dish (don’t ever roast sweet potatoes with white truffle oil! 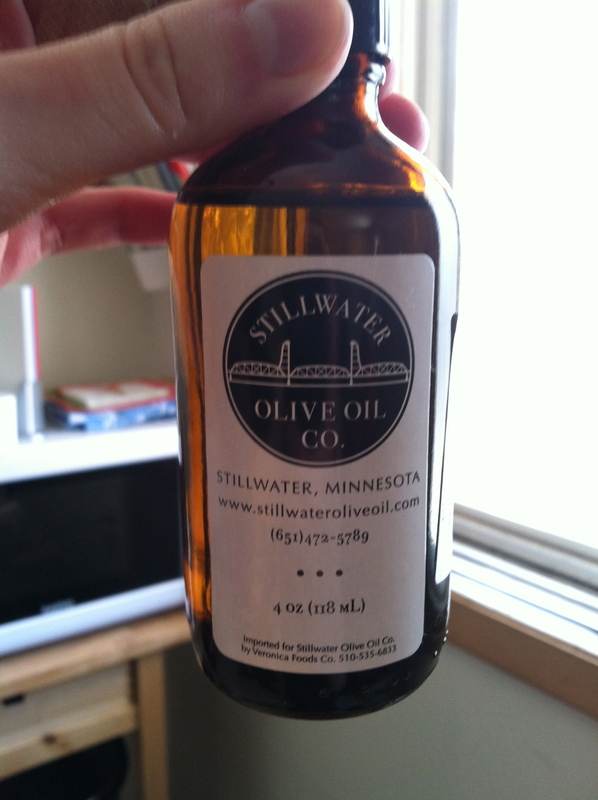 ), I discovered it was too potent to use as a base oil in anything, so a finishing oil was my only option. Luckily for me, I stumbled across a recipe in Cooking Light that, with some modifications, suited my tastes perfectly! Lesson learned – don’t fear unusual ingredients and don’t mix them with sweet potatoes. 1. 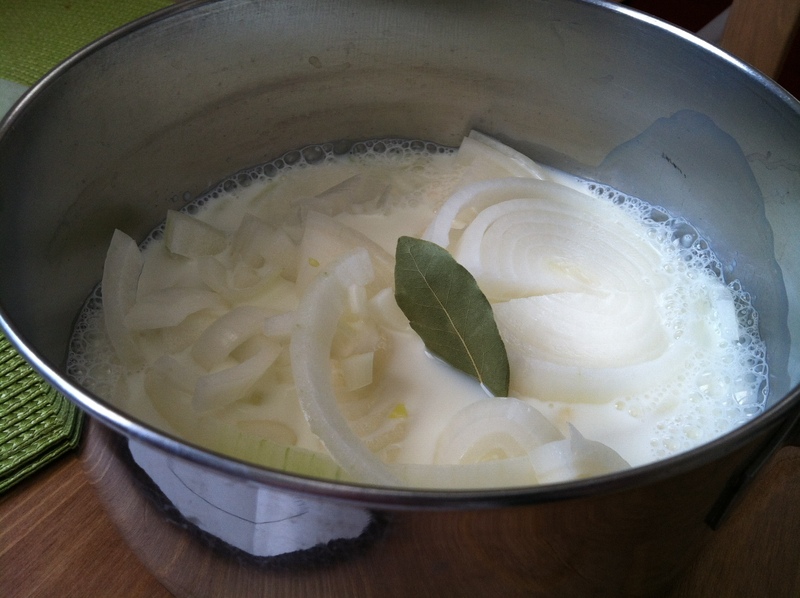 Heat 1 3/4 cups milk, onion and the bay leaf in a large sauce pan until just simmering. Cover, remove from heat, and let it stand for 15 minutes. Note: make sure you use a very large pan, you’ll be combining everything in it at the end. 2. While that’s sitting, cook your pasta according to the instructions on the package. 3. Strain the milk mixture and discard the solids. Return the pan of milk to medium heat. Combine the flour and remaining 1/2 cup milk in a small bowl and whisk until combined. Stir the milk in the small bowl into the milk in the sauce pan. 4. Bring the milk mixture to a boil, stirring frequently and cook for 1 minute – stir it constantly or it will burn. Take it off the heat and let it stand for a few minutes to cool. 5. Add the cheeses and stir until completely melted. Next, add the white truffle oil, cooked pasta and shrimp. 6. Pour the mixture into a greased 13 x 9 inch baking dish and preheat the broiler. 7. 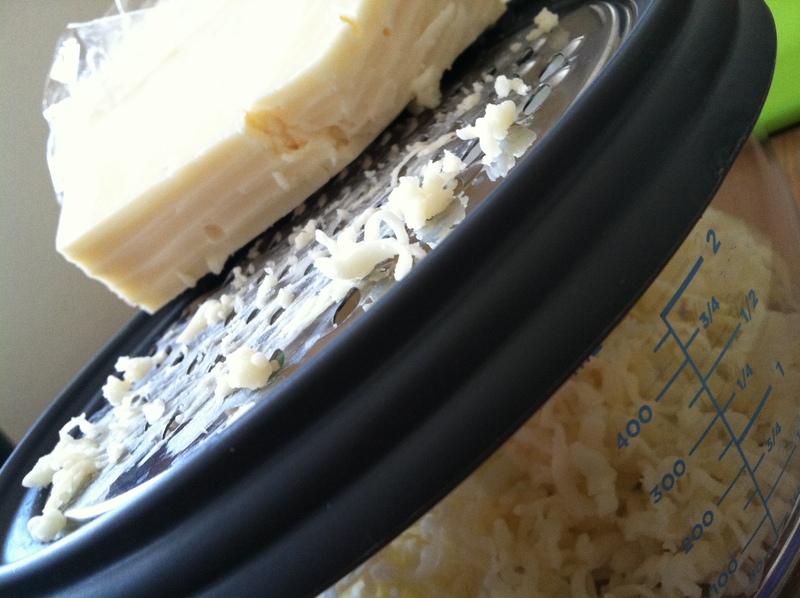 Place the panko, parmesan cheese and garlic in a food processor and pulse until you get fine crumbs. 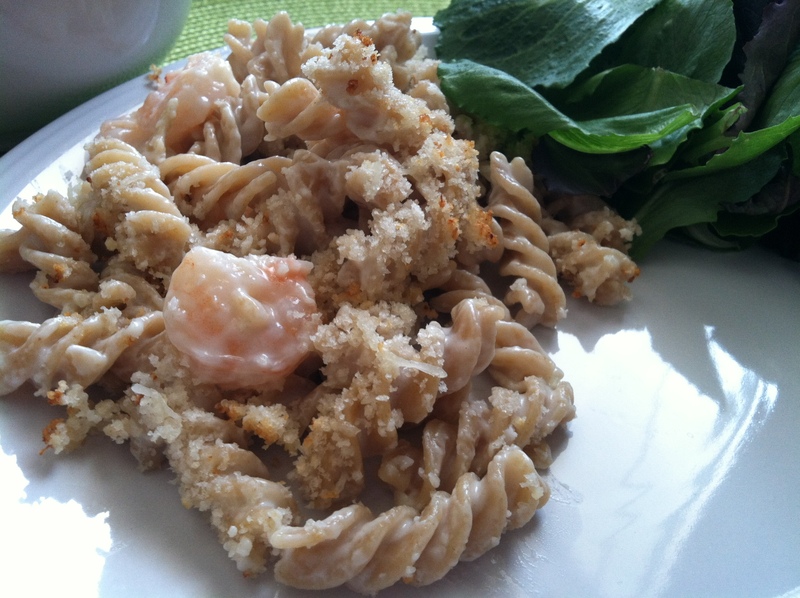 Sprinkle the bread crumb mixture over the pasta and broil until golden brown. This entry was posted in Uncategorized and tagged cheese, Dinner, Mac and Cheese, Pasta dishes, shrimp, white truffle oil by theculinarycapers. Bookmark the permalink. 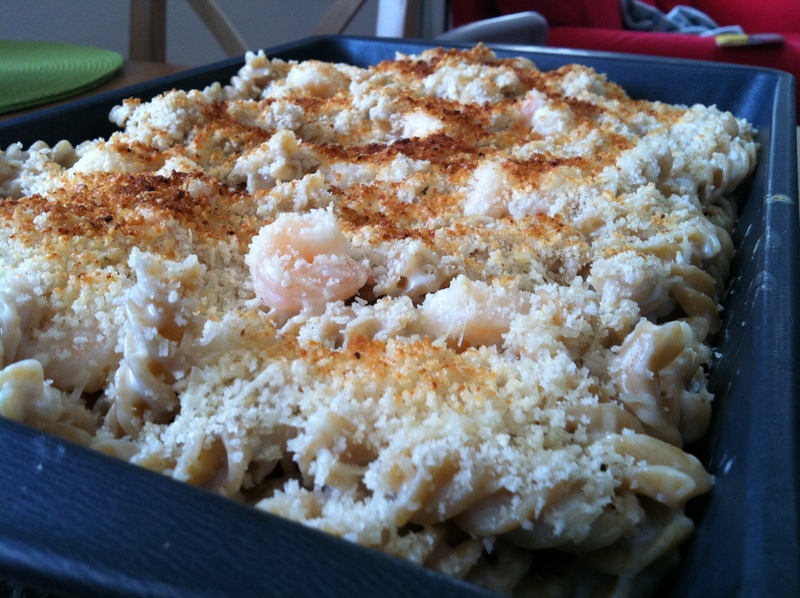 Um…can I marry this mac and cheese? It looks so good! Yes, I will give it away at the altar.